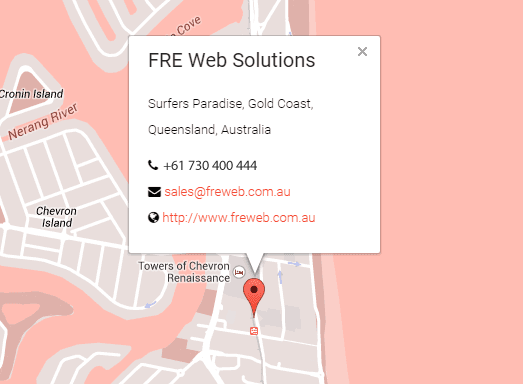 FRE Web Solutions offer professional web design in Brisbane, Gold Coast, Perth, Sydney Melbourne and all over Australia.We have a team of dedicated web design.. There are allot of web design and online solution companies to choose from these days. So Why Choose FRE Web Solutions? It’s simple :: You can’t afford not to. With some of the best graphic, seo and web design team in the game, we will deliver you that finished website for you and or your business you have been dreaming about. On a daily basis we hear of people and businesses paying FAR to much for web design, sometimes into the tens of thousands! It’s just not fair in our opinions, not when we offer the same services for a MUCH lower price and the finished product is far better in terms of detail, design, onpage search engine optimisation and execution. Did someone say ‘How Much’? Basic websites start from just $800.00AU!! Click here for a obligation free quote. You will be amazed at the quality of work you will receive for a budget that you can afford. • Are you currently receiving 1/3 of your new business from the internet? • Why Not? At least 1/3 of your potential new customers are online. • Just about everyone with access to the internet will look for you or your business online first before any where else. If your website is not online, or your already online and not happy with the website you have, could they be going to your competition? We answer these questions and more. It’s our job. Your questions are important to you, so they are important to us. We also offer services included for EVERYTHING that you need for one affordable price! Domain name(s), Web Design, Online Stores, Website/Webspace Hosting + More. We work with businesses and individuals from all over Australia. Such as Adelaide, Sydney, Brisbane, Gold Coast, Sunshine Coast, Melbourne, Perth, Canberra and even as far as Tasmania.